Someone-anyone- please take pencils and sketching paper away from Ian Callums hand!! He can do sports cars, the F type, XK and Cx75 look like Jaguars should; but his Audi/Lexus/Mitsibishi inspired saloons and now SUV are just so tragic and mundane. What a common, sad, hideous little car. No brand identity. Mark - have to agree a rather bland entry into an already flooded market. Not a fan of this on. I love it. I can't wait to see what the production model will look like. I think it's got all of the new Jaguar's identity. I guess you can't please everyone though! Totally disagree, install another arm so he can do more good work. I'm a huge fan of his recent work! I personally have never understood quite why people like this class of vehicle, but they sell like hot-cakes, and Jaguar have to have an entry to compete in volume. I find the entire class rough-riding, cramped and "tippy". I recently rode in a friends crossover up to Canada and back and crawled out of the thing after the trip, shattered. IMHO, this is pretty good as a first stab, design-wise. I do think it will likely look better in the metal and that those looks will be color sensitive, as the "haunches" could disappear with flatter colors. Hopefully the ride will be more Jaguar than Landie when it comes to market! I also feel that it will cannibalize some Evoque sales from across the house in the short term, although the Evoque is supposed to be rejigged to run on this new platform after a year or so, per ArOnline and other sources. I suppose Tata are hoping for an Audi/VW kind of split, with Jaguar playing Audi and Land Rover playing VW. Does anyone have any idea why Jaguar are showing this concept before the small sedan/saloon, when the latter will be on sale earlier (if the rune-readers are correct)? I hear that they are due to arrive around the same time. I guess we all have different opinions. If they are going to use a SUV to drive sales up and build truly unique cars that reflect their heritage like Porsche has used the Cayenne for, then I am all for it. If they are going to use the profits from this generic SUV to build more of the same bland, generic and lifeless saloons they are currently making then IMO its pointless. There are enought Lexus, Audis and Acuras out there. Ouch. I happen to think the current line of Jaguars is the most exciting since the days of the E-Type! 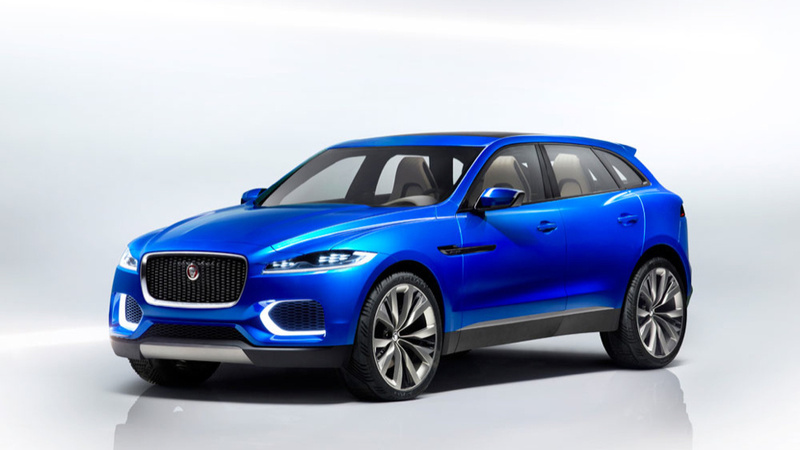 I hate the idea of a Jaguar SUV, but it looks like Ian Callum has managed to make it a modern, unique and striking design yet again. It's OK. I wouldn't say it's terrible but it doesn't give the fresh, new design feeling of the F-Type and even the LR Evoque. That is what Jaguar needs, more unique and fresh styling for their vehicles. It does nothing for them to create a car that looks pretty much like everything else. This one from the front windshield back resembles the Ford Edge. I say let the Landrover Division hande the SUV's and concentrate on the branding of the Jaguar name with AWSOME cars. The way I look at it is that this will help fund those cars you desire. No Doc, it's a full aluminium monocoque, not shared with any other makers, except the tech is the same as what's used in the new Range Rovers, & related to the alloy XJ, XK & F-Type. I've always been pretty "anti-SUV" but since getting the Freelander 2 i've come to see the benefits of such a vehicle; being able to see over traffic, and no having to slow down for speed humps, raised pedestrian crossings, and driving up nasty kerbs is pretty cool. Nobody has said anything about the CX17 getting air suspension, i'd be surprised if it did but if so it would certainly add to the appeal. Ultimately I want to get down to one vehicle. I could see this being it. I'm looking forward to the XE but I want to wait for the the second model year of that at least, at which point the Q-Type or whatever this will be called will probably be out. There is a market for these, but this offering is bland and there are plenty of cars like that on the market. I wouldn't call it bland, but familiar. To me Jaguars look so much better in the metal than in photos. Also I just realized that the concept has about the same footprint as a MB GLA, so that would make this a very compact SUV. Assuming the wheelbase stays the same(103") the XE and this should be pretty small vehicles. I like that, I hate how reviewers always complain that a small car is small, then the automakers keep making that car bigger over the generations until it is replaced by another car. BMW x5/x3 are good examples. I think car mfrs do this to raise prices too. I think it's going to look spectacular....it will have the F-Type cues to it. I'm interested to see how those cues are adapted to the SUV. The F-Pace name on the other hand is abysmal. So cheesy. I think it will ride like a proper Jaguar. I also am miffed by the suggestion that their sedans are bland....they have taken the most chances in design than any other automaker. I do worry that the second generation XF may be too evolutionary and boring. Let's pray it's a fresh look and not just an upsized XE.